Great ‘v’ food and living is for everyone… so whether you live a full time ‘v’ life, or are simply going meat-free on a Monday, this show delivers an incredible day out you will not want to miss! Wherever you are on your ‘v’ journey, Just V Show is a weekend-long event with something for you! 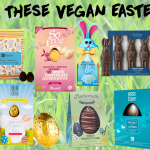 Come and discover the best in vegetarian and vegan food from brands including Linda McCartney Foods, The Tofurky Company, Together Health and Fry’s. plus, find vegan friendly skincare and lifestyle products with a wide range of exhibitors. Oumph! Kitchen will host cooking demonstrations delivered by a range of high profile food connoisseurs. Hear talks from thought leaders in the veggie and vegan world in the Just V Theatre. Need a little help or advice, great news, the Vegetarian society and Vegan society will be attending, so pop over to their stands and meet the teams. Just V show also shares a hall with Love Natural Love You and The Allergy & Free From Show. So, your ticket to Just V Show gives you entry to all three of these events in one go!